Rachel and I will be attending Emerald City again this year. We will be at the table at approximately those times but I will update via Twitter more exact schedule. 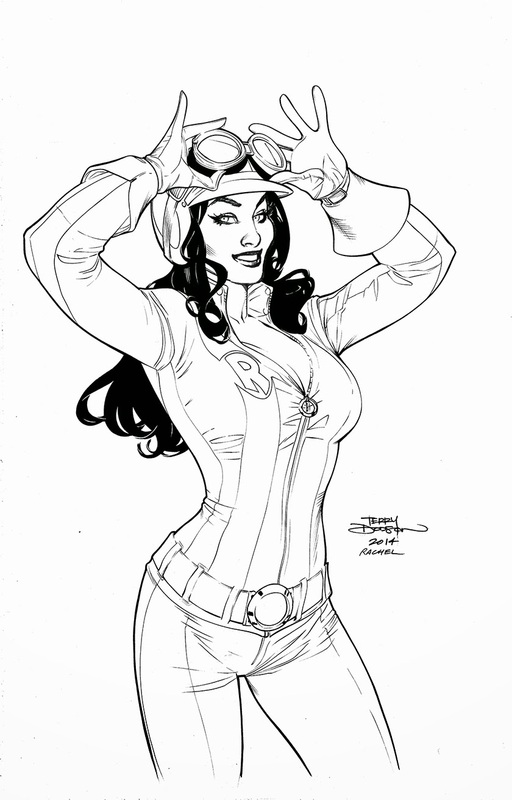 I will be signing books/comics/statues/etc at my table the whole show and for free. 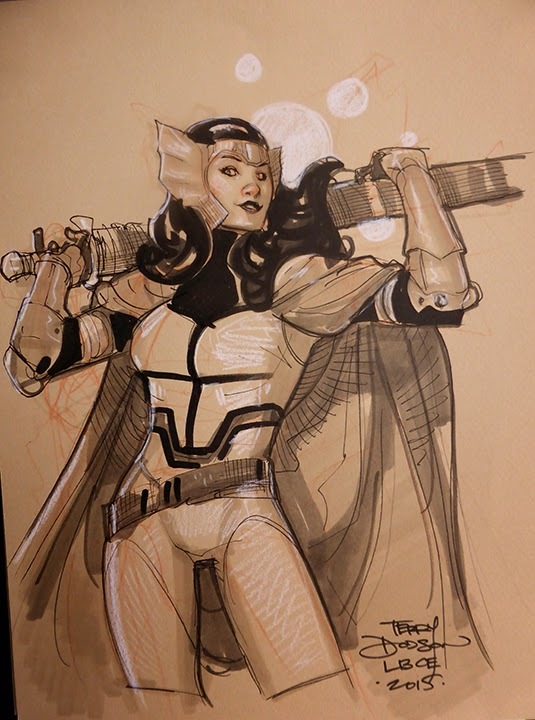 I will take sketch requests all day Friday. 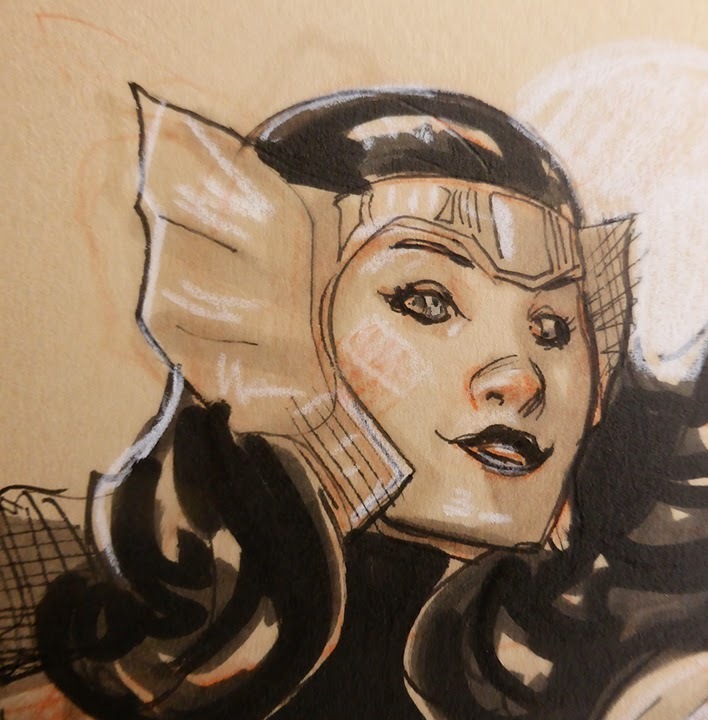 I will write down all names however I will be choosing myself who's sketch I'm drawing and if you had a sketch recently I won't be doing you a sketch so I can try to get sketches down for fans who I haven't done sketches for. 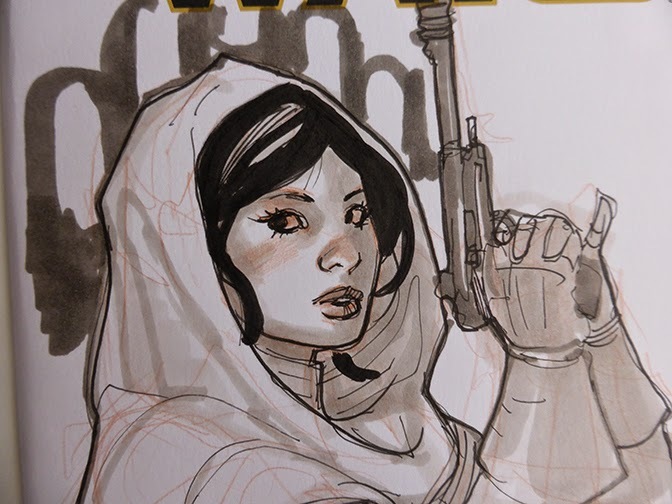 ECCC is a VERY busy con so I will only be producing about 5-10 sketches. 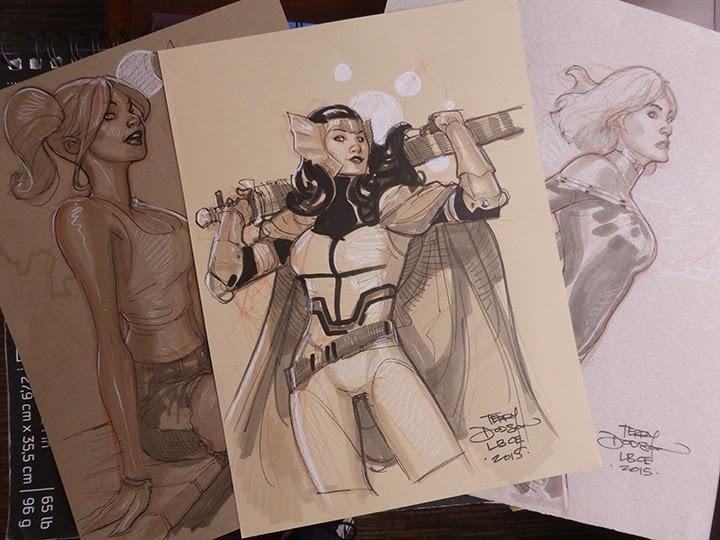 Sketches are $350 each for 12 x16 and $200 for 9 x12 and $150 for Blank Sketch Covers. 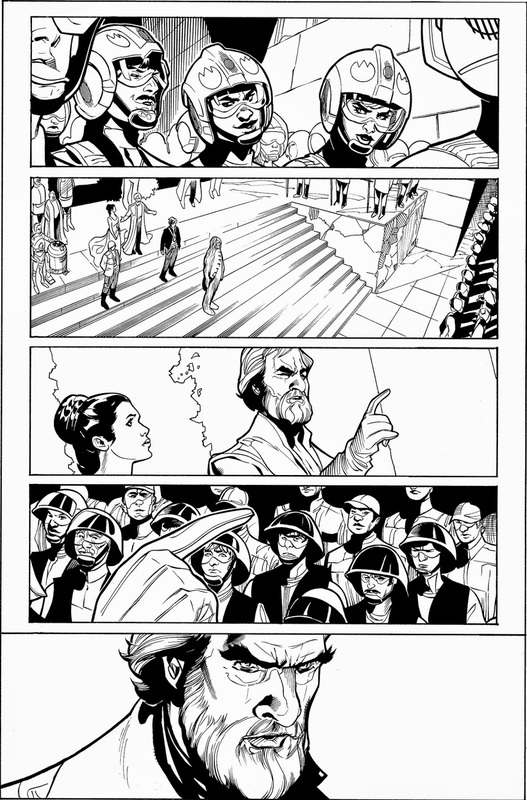 I will be selling original art from Star Wars: Princess Leia #1-2, X-Men, Catwoman, Songes/Muse, Avengers, Avenging Spider-Man, The Defenders, Uncanny X-Men, Wonder Woman and selected covers, pinups and sketches. 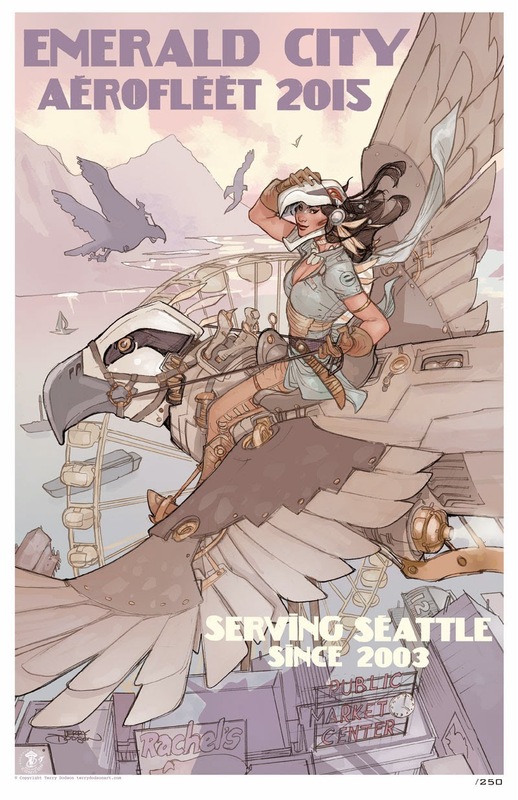 I'm produced the Official ECCC print, limited to a signed/numbered edition of 250 - for sale at the ECCC Merch Booth for $20. 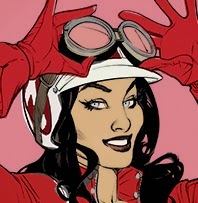 I also will have a new RED ONE print available for ECCC. I will have the Masquerade, Rose City, Down Under, New York, San Diego Gaslamp Quarter, Paris and Seattle prints and postcards for sale. 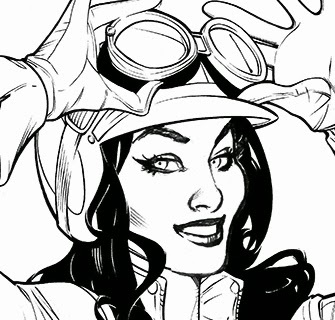 I will have my brand new sketchbook MASQUERADE and BOMBSHELLS 7 for sale. 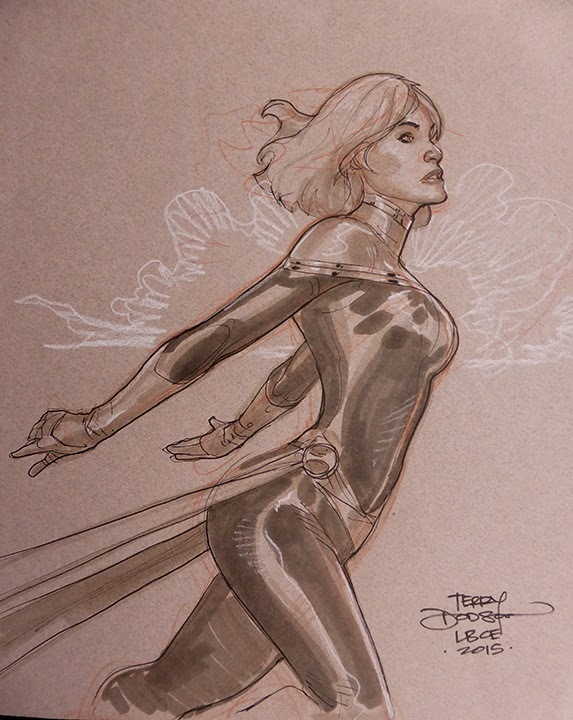 Take a look at some more convention sketches from our recent appearance at the Long Beach Comics Expo, Feb 28 - March 1, 2015. 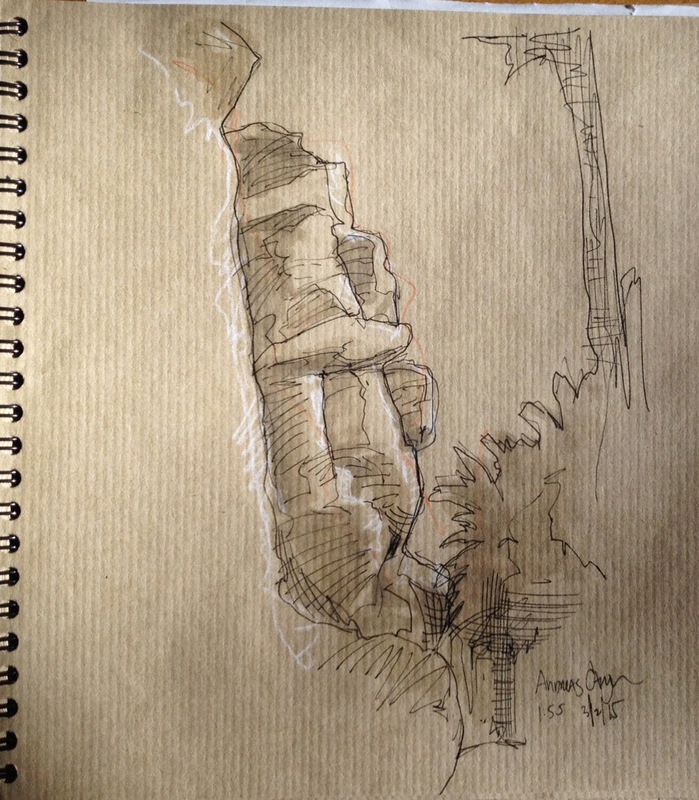 Drawn on 9 x 12 Canson Mi-teintes Paper with Col Erase Scarlet Red Pencil, Pitt XS F Black Pen, Copic Warm Grey 1, 2, 3, 4, 6, 8 and White Prismacolor Pencil. 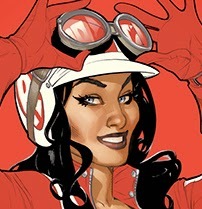 RED ONE #1 is out in stores today, 3/18, written by Xavier Dorison with art by Rachel Dodson and me. Take a look at how we made the first cover. 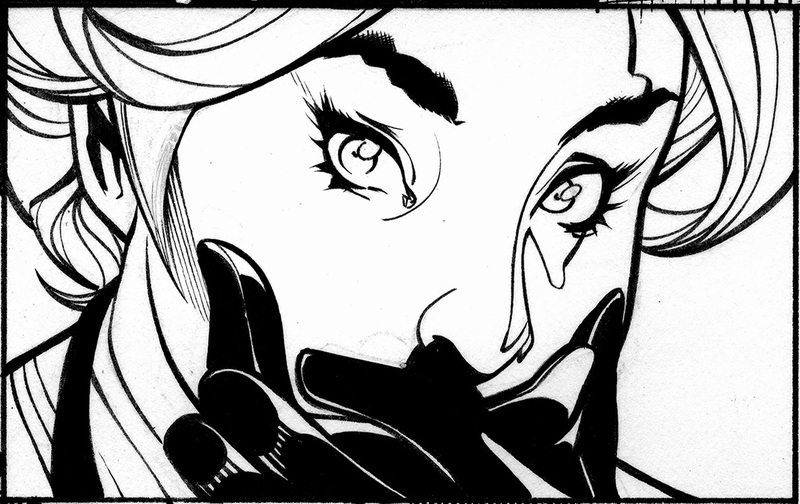 I dropped in my pencil version of the face as I felt it conveyed the emotion better. 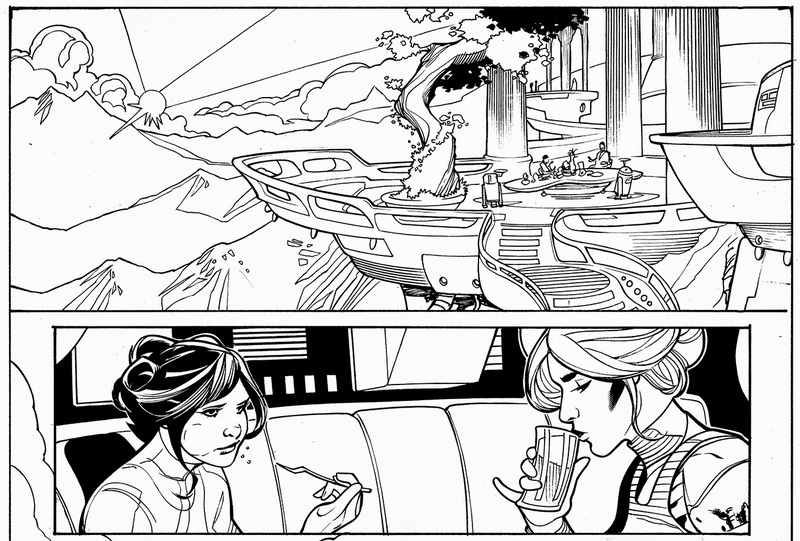 Flatting allows me to choose an area to color at any point throughout the coloring process. Really focused on the flesh. 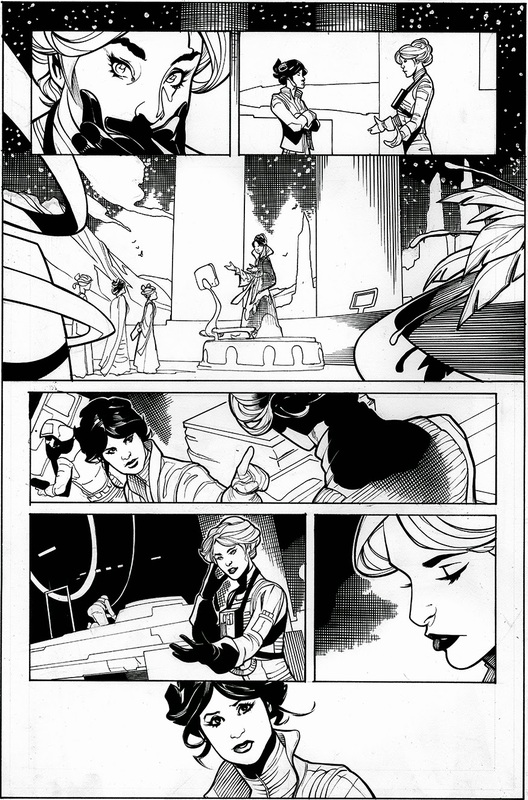 The final art - I knocked out all the interior line art - turning the black line art to color line art - especially on the costume and flesh. 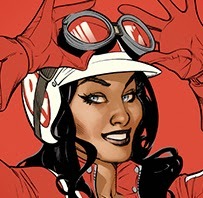 I use Photoshop CS3 and Wacom Cintiq 13HD to color with. 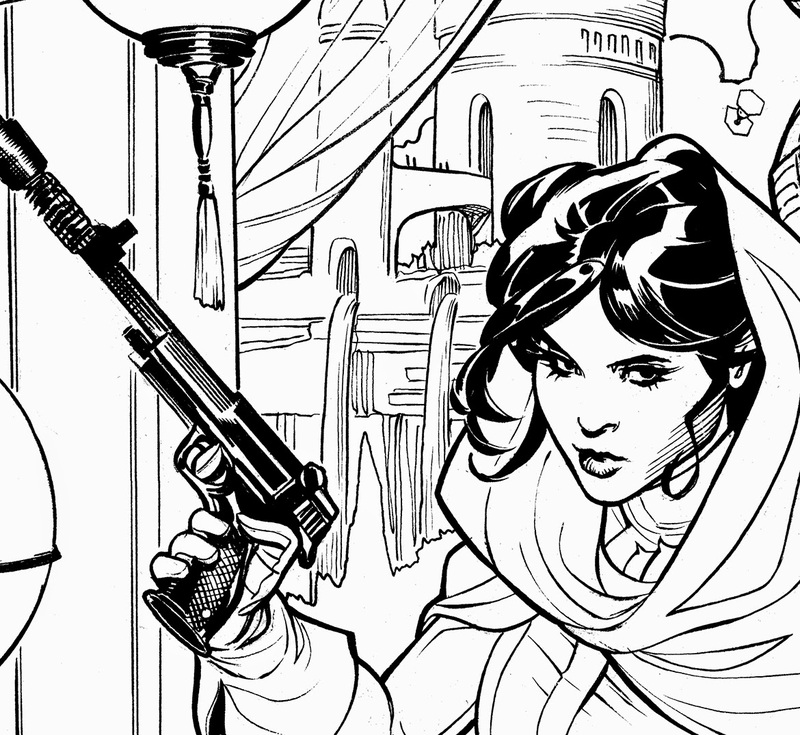 Take a closer look at Rachel Dodson's inks for the cover of Princess Leia #2! 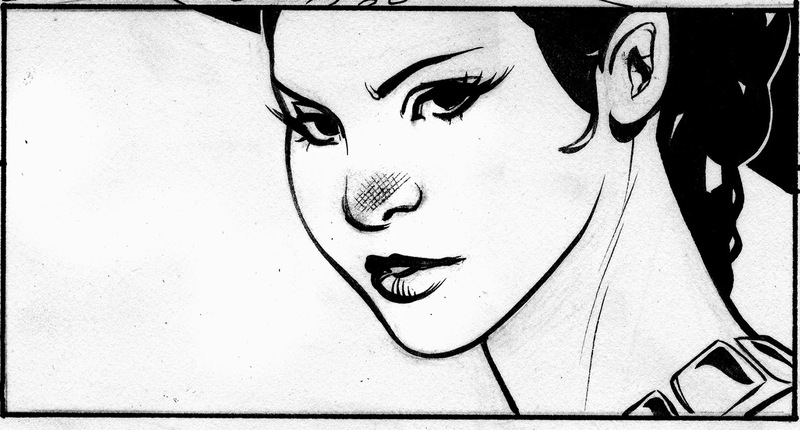 Rachel uses Windsor Newton Series 7 Kolinsky Sable #2 Brush and Higgins Black Magic Ink to ink with. 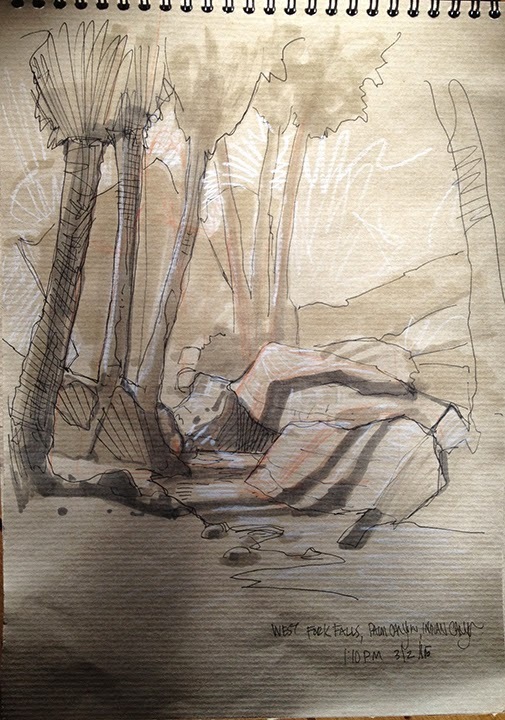 Original art is drawn on 13 x 19 2 ply Bristol Board. 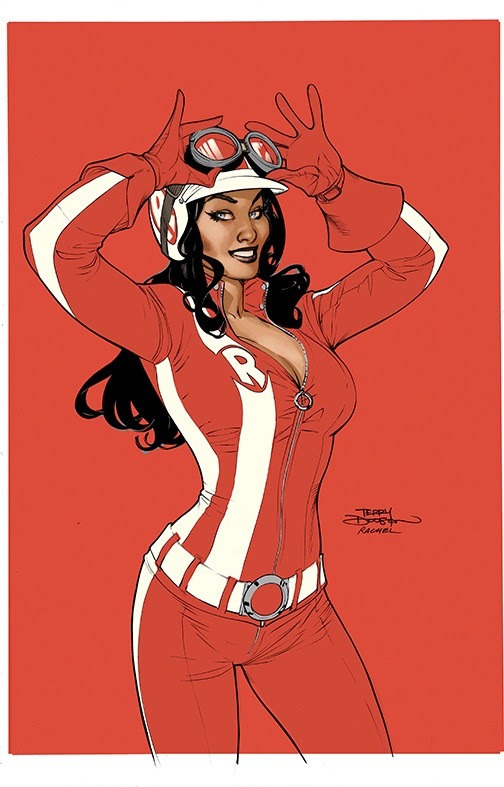 "We are excited to announce a signing with Terry and Rachel Dodson, the series artists of the forthcoming Red One comic book series published by Image Comics. Be sure to visit us on Wednesday, March 18 from 6:00 to 9:00pm to purchase the debut issue of this exciting series and get it signed by the artists. What happens when America's greatest hero . . . is a Russian Spy? 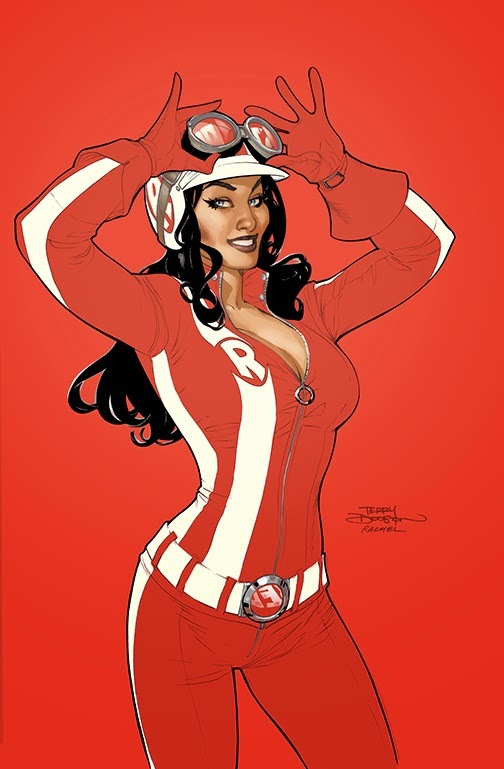 Soviet Agent Vera Yelnikov is sent to 1977 Los Angeles by the Kremlin to become an American Superhero and spread communist values in the land of Uncle Sam in a funky superhero romp like something straight out of a Tarantino film. 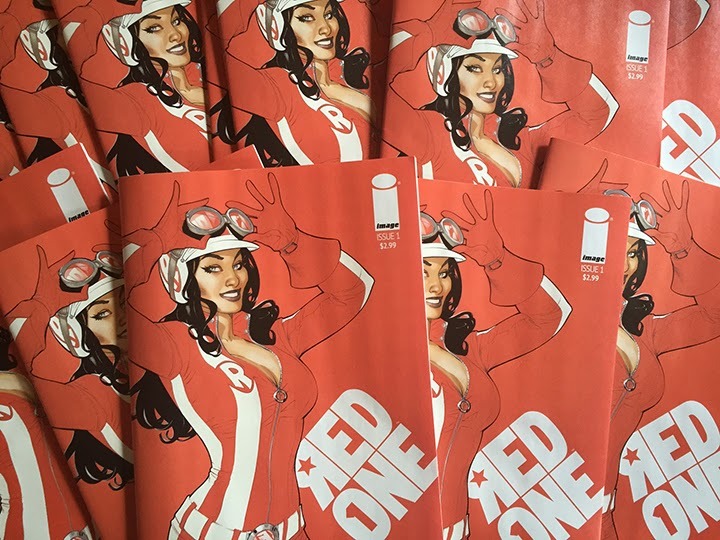 Copies of Red One #1 will be available for purchase at the event. 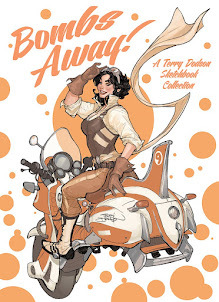 Don't miss out on this opportunity to meet the artists behind this exciting new book and get the first issue signed March 18 at the Beaverton TFAW"
"The first 50 people through the door for the signing will receive a free Red One poster! Join us next Wednesday!" 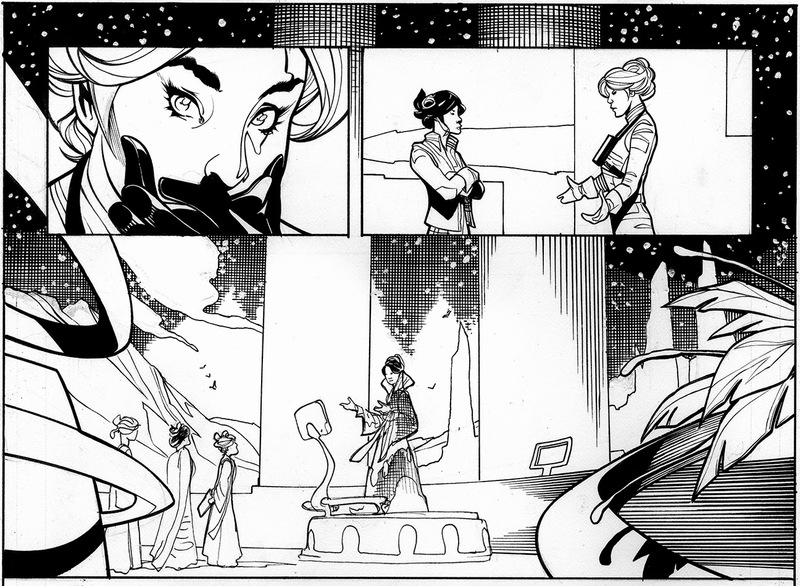 Detail of Rachel Dodson's inks from Princess Leia #2 - out this week from Marvel Comics, 3/18. 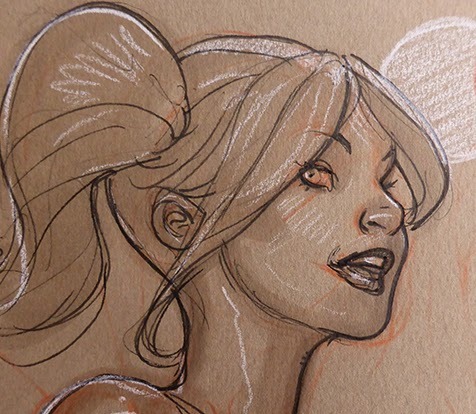 Original art is drawn on 11 x17 2 ply Bristol Board. 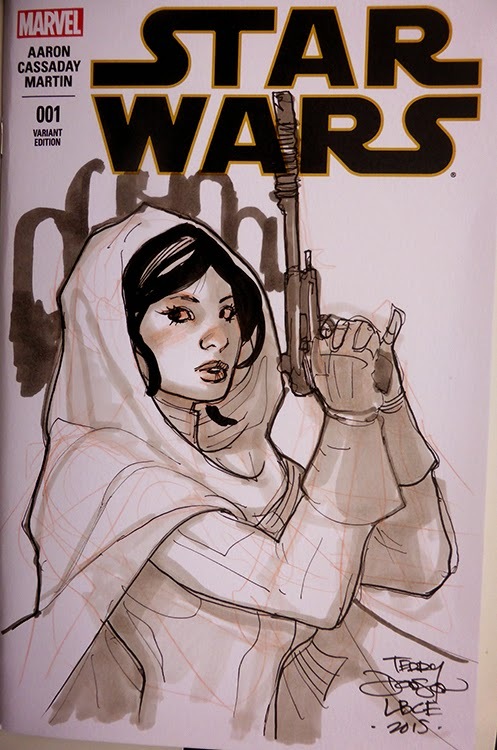 Princess Leia Sketch drawn on a Star Wars Blank Cover using Col Erase Scarlet Red Pencil, Copic Warm Greys, Black Pigma Micron and Pitt Pens. 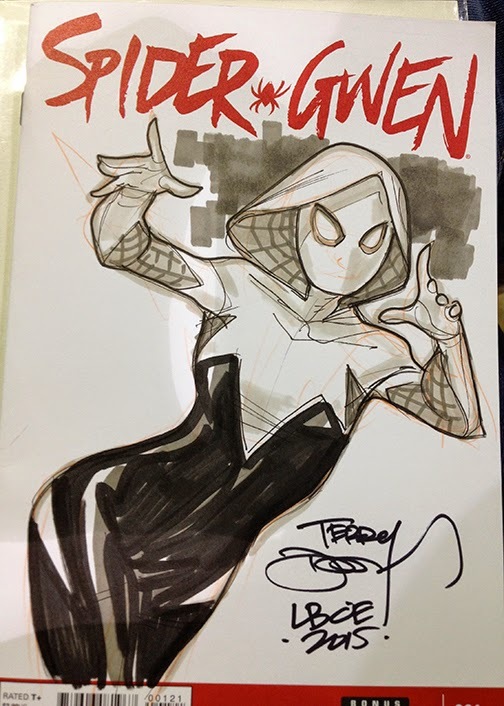 Spider-Gwen sketches drawn on Spider-Gwen Blank Covers using Col Erase Scarlet Red Pencil, Copic Warm Greys, Black Pigma Micron and Pitt Pens. 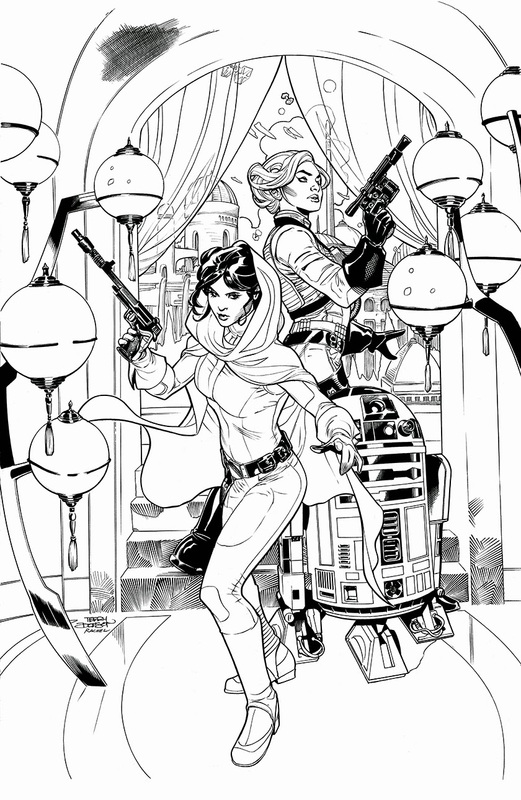 Here's a look at the Official Show Print I created for Emerald City Comic Con 2015. 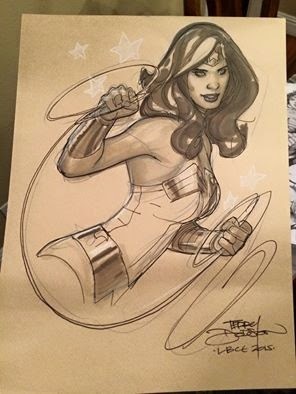 It will be a limited edition of 250 available only at the ECCC Merchandise Booth at the Con. 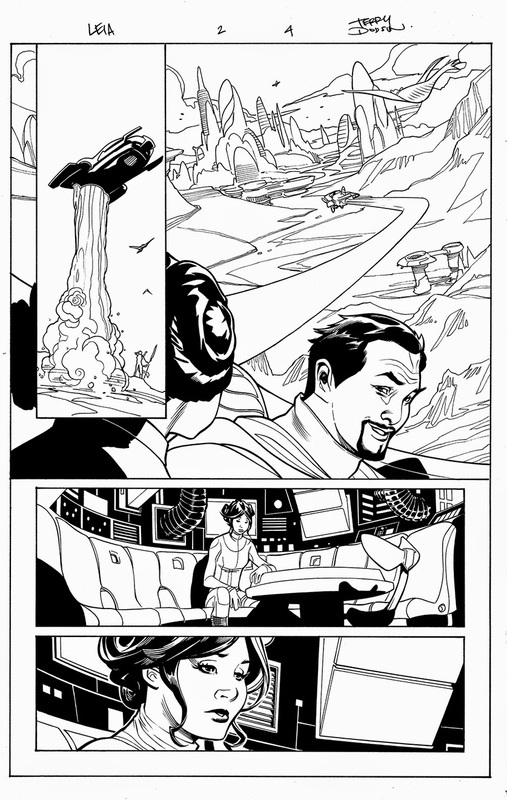 It's will be 11 x17 inches and $20. 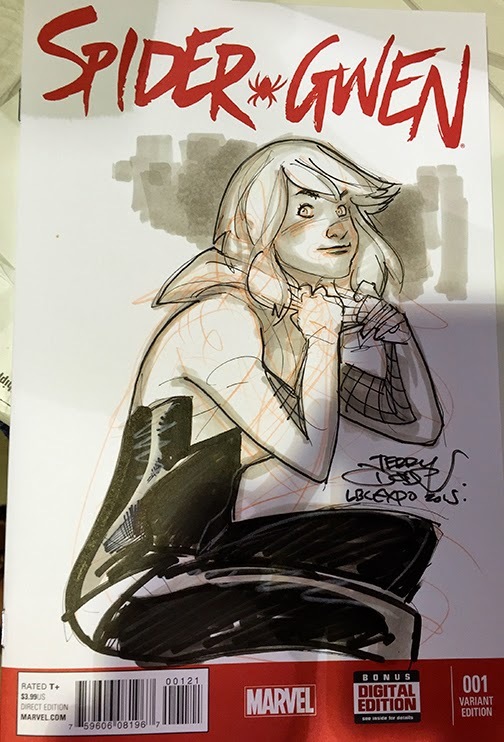 I will sign it at my booth C-19. 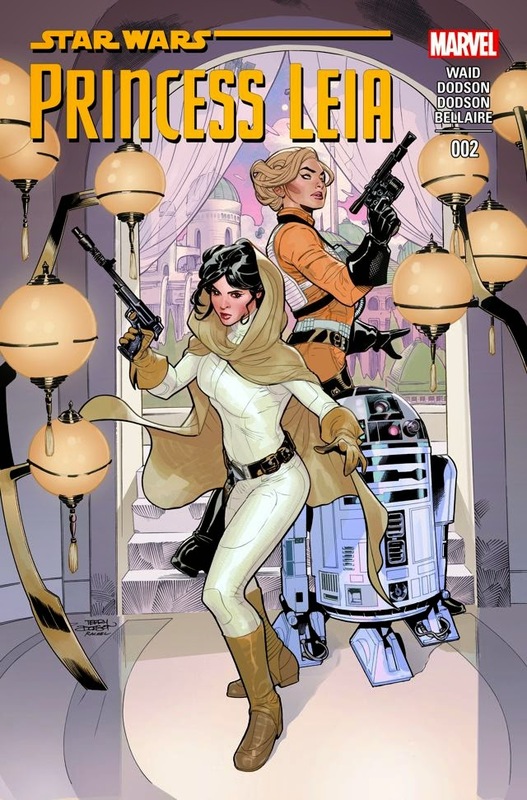 I will be doing a making of on this soon! Got my preview copies of the book today and it turned out great! 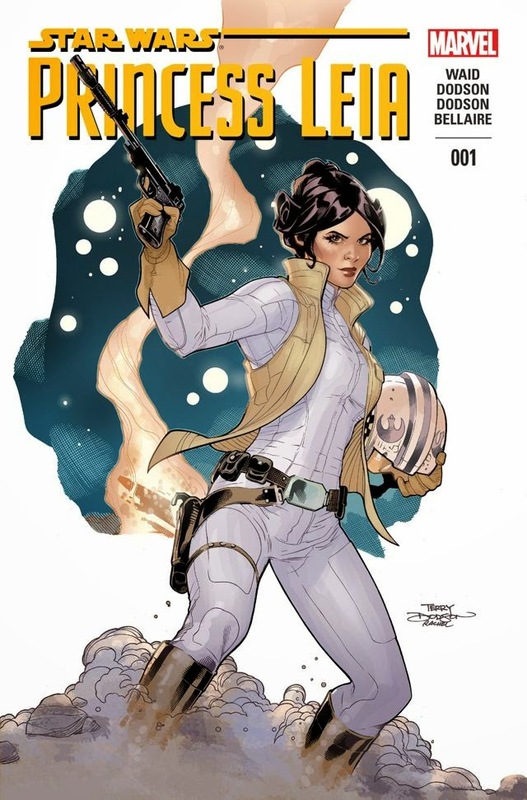 The comic will hit store shelves next week, March 18th! 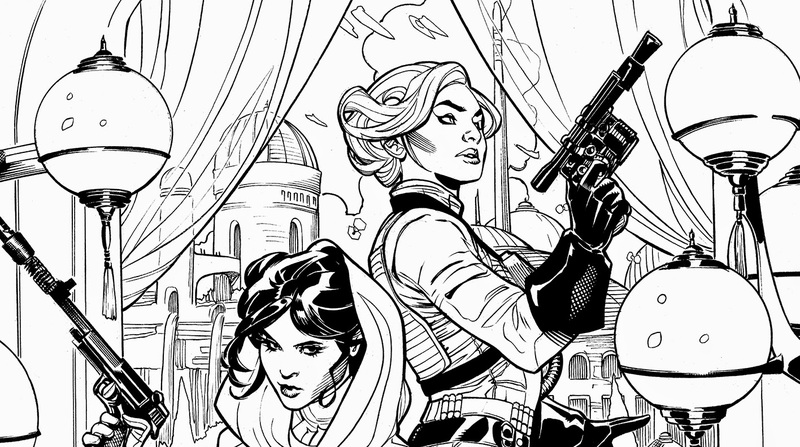 Here's a sneak peek of my print for Emerald City Comic Con! 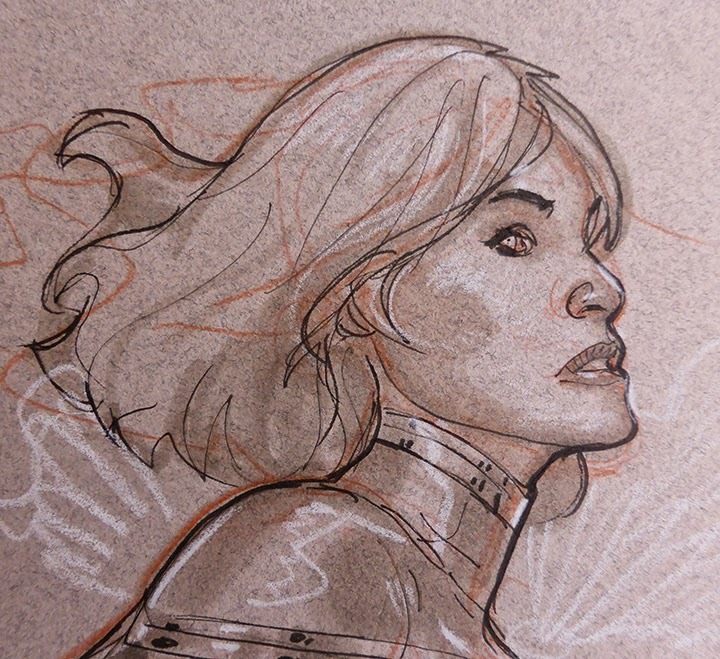 And here's a look at the Work in Progress of the print. 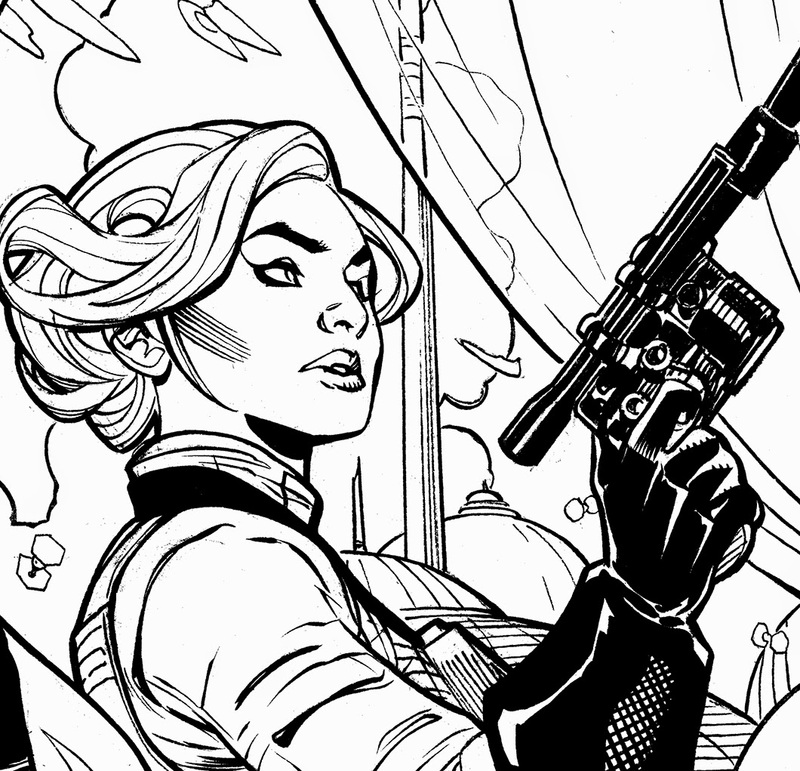 The full print will be revealed tomorrow and will go on sale at ECCC, March 27th! 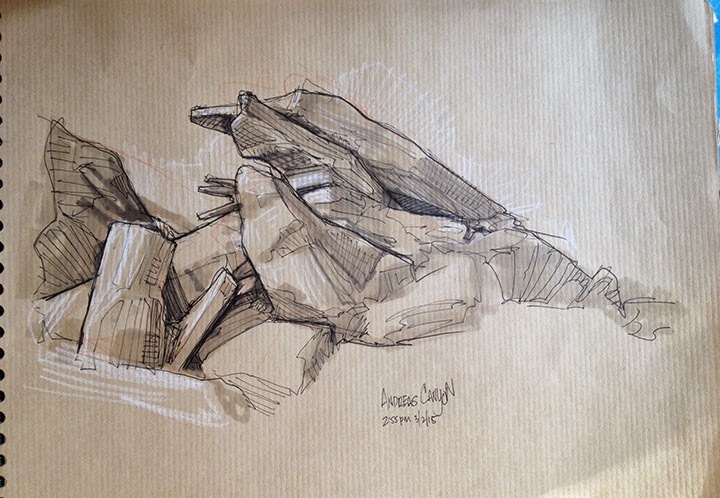 Some more recent sketches from Southern California desert. Drawn in my 8" x 11.5" Clairfontaine Sketchbook using Col Erase Scarlet Red Pencil, Copic Warm Greys, Pigma Micron Pens, and Prismacolor White Pencil. 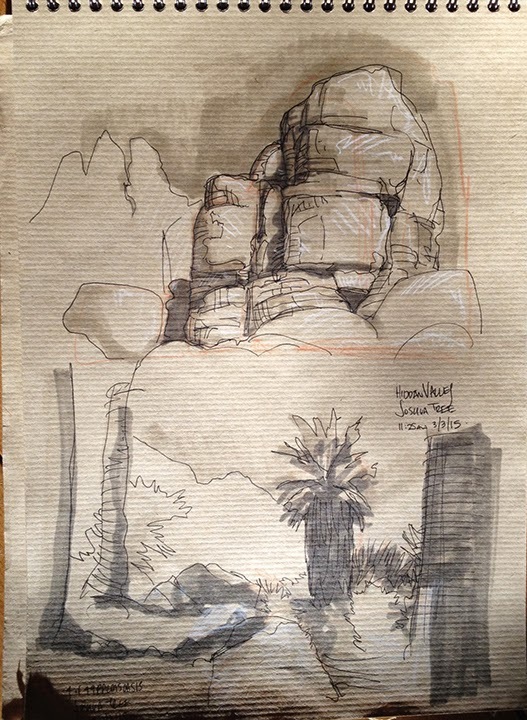 Some sketches from a recent visit to the Desert Areas near Palm Springs and Joshua Tree in Southern California. 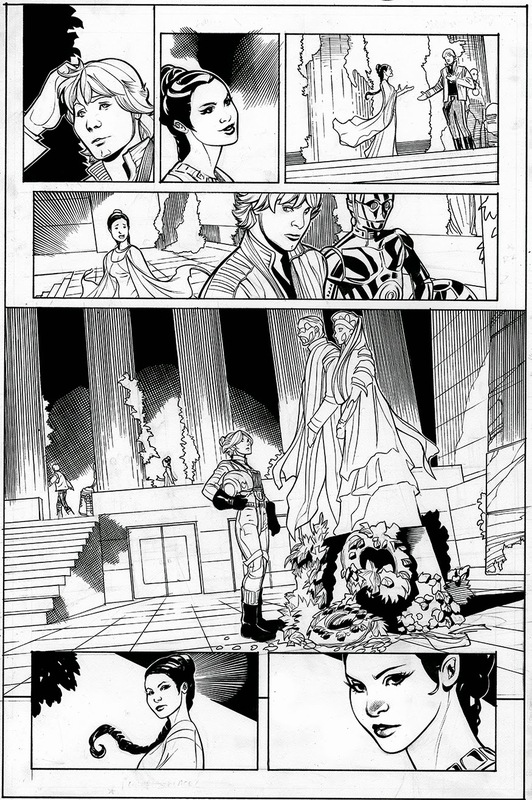 Here's another closer look at Rachel Dodson's beautiful inks from Princess Leia #1 page 11 - 0ut now from Marvel Comics. 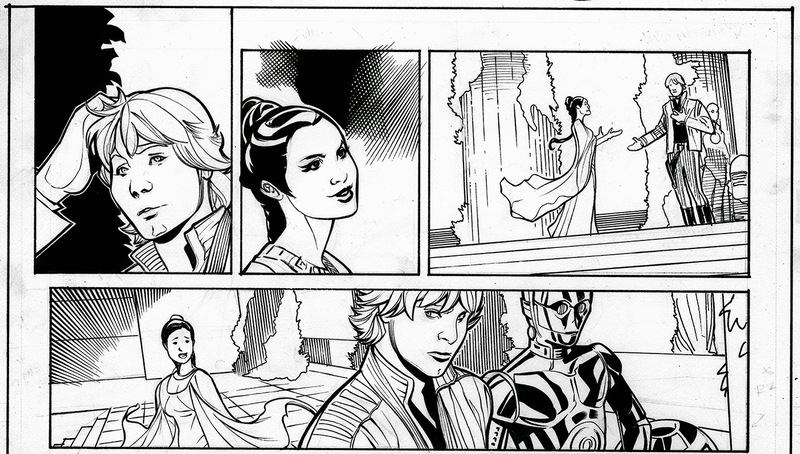 Take a closer look at Rachel Dodson's beautiful inks from Princess Leia #1 page 5 - 0ut now from Marvel Comics.